Jesus is not my cup of tea! Jesus in my Kettle, originally uploaded by mistersnappy. 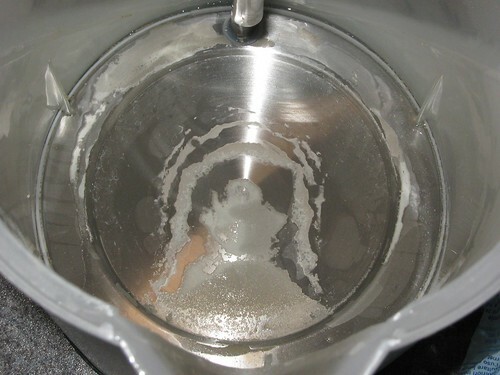 If Jesus was to reveal himself to the people of Great Britain he could do worse than appearing in the bottom of a kettle. And that’s just where Pinner resident, Simon, saw him. “The kettle had become particularly furred up”, relates Simon, 38, “so I descaled it. Then when I looked inside to check it was nice and shiny I couldn’t believe who was staring back at me. Jesus”. When asked if he might be tempted to sell the holy kettle on Ebay Simon was emphatic, “No way. It’s a really good kettle”. I’ll update this post if I get a reply from the folk at Metro!! But Simon, why is Jesus wearing a gas mask? Is it a sign? Or did he put on his Halloween costume early?